This pioneering collection of essays explores some of the many and varied ways that women might use a particular idea of being lesbian to invent themselves, to understand how they are connected in the world, and to imagine notions of community. Focused through an anthropological lens, contributors explore a wide range of expressions that bind different lesbian communities together from dance club culture to lesbian wedding ceremonies, from lesbian life in the 1920s to lesbian motherhood today. As a whole, Inventing Lesbian Cultures in America shows how communities and identities allow for a sense of collective meaning for lesbians today. Defined in terms of culture, the activities, alliances, and identities that make up the experience of being lesbian imbue their lives with dignity and stability. 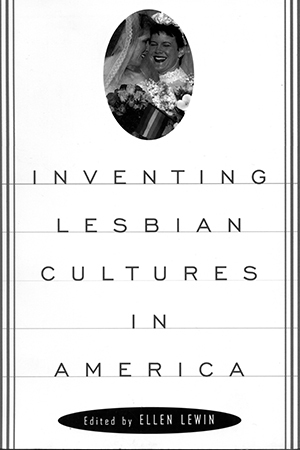 Inventing Lesbian Cultures in America will become required reading for anyone interested in gender and sexual identity.